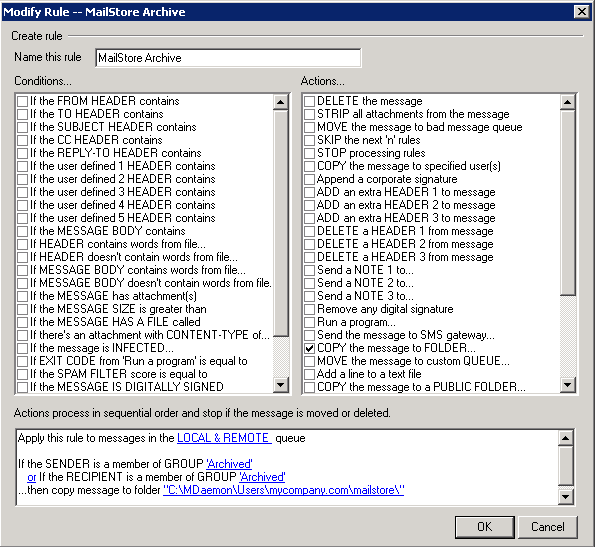 Our installation guide for MDaemon users details how to get MailStore up and running using a combination of two archiving jobs (journalling and mailbox). That works really well if you want to archive everyone’s mail, but sometimes I’m asked about archiving for a handful of users only. What we’re looking to achieve here is audit compliant email archiving (messages are protected from deletion/ modification) but only for specific users. The guide I mentioned above would have recommend you use a content filter like the one below to capture all of your messages coming and going from the server. 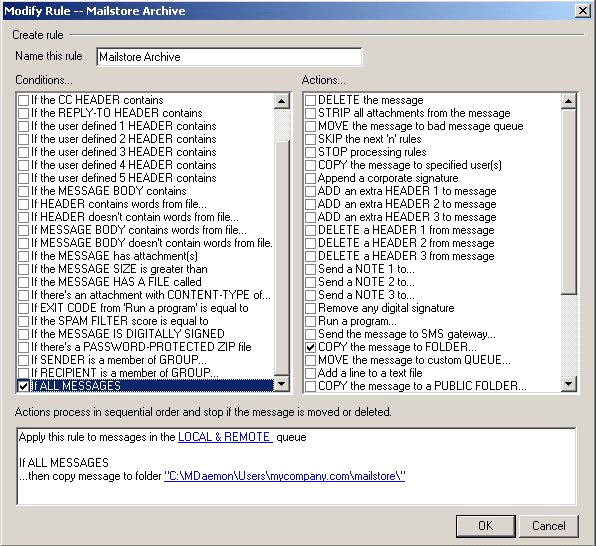 Note: We’ve created a separate MDaemon user called MailStore which I recommend you do too. Any mail ‘TO’ and ‘FROM’ the aliases linked to these members will also be archived using this approach, as well as MultiPOP and DomainPOP collected emails. 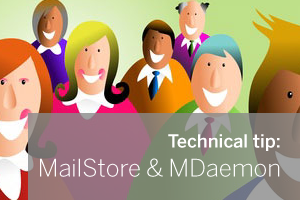 What I like about doing it this way is that new users to this group are automatically synchronised with MailStore and their email automatically archived once a day – all in one step. I hope you found that useful but we are on hand for customers and trialists so if that’s not making sense please feel free to get in touch and we’ll be happy to help you out with it.